Knowledge Centre - Skin & Wound Care Products You Need to Know About! Skin & Wound Care Products You Need to Know About! Whether your wounds are the result of an accident or have to do with some type of surgical procedure, the need to ensure that healing process is not slowed down by infection is important. 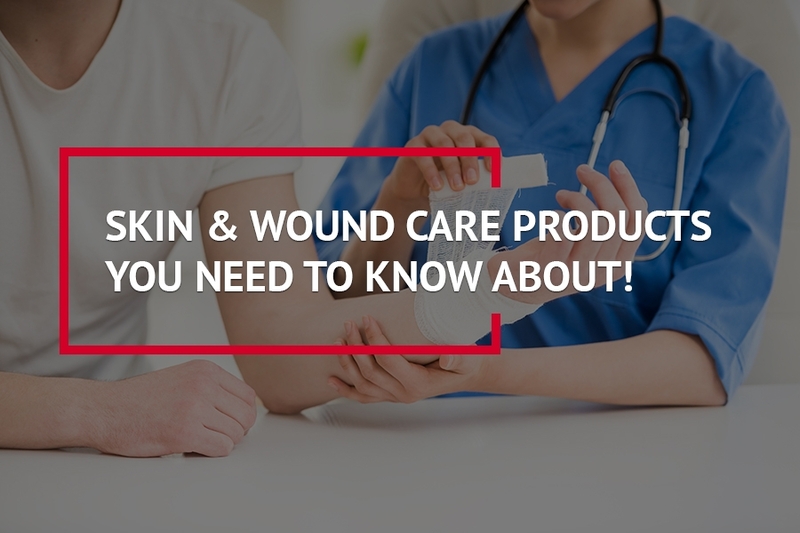 The options for wound care have never been better, and there are even some that help to protect and support skin health in the area surrounding the wound. By being aware of these products, you will know what sort of dressing and antibacterial products to employ as part of your recovery. Here are a few examples to consider. Easily one of the most advanced wound and skin care products available today, the Endoform dermal template creates a powerful barrier to prevent infection. Each template contains a health dose of collagen and a reasonable amount of ECM components. The combination helps to soothe the skin around the wound and also prevent any contamination during the healing process. One of the most popular of all the Hollister wound care products, the template is widely available for use by primary care physicians, specialists, surgeons, and most hospitals and surgical centers. Hollister also has a line of dressings known as Restore. There is a traditional contact dressing that is designed to fit over the wound and protect it for as long as needed. It’s possible to obtain contact dressing that is free of silver or includes it in the material. A physician can determine which type of contact dressing is best based on the needs of the patient. There are also foam dressings made by Hollister. These also come with or without silver as an ingredient. The foam dressing contours to the area around the wound with ease, creating an effective seal. Hydrofiber has been around for some time and involves the use of a quick-setting gel to cover the wound. The seal that is created using the gel helps to prevent any type of contamination during the healing process. One of the most popular examples is found among the Convatac wound care products used by many medical professionals. Known as Aquacel, there are dressings designed for wounds of varying sizes. Some are ideal for treating a wound sustained during an accident while others are utilized to keep incisions from surgery free of any type of contamination. Convatac also has a line of products designed especially for patients who have to deal with continence issues as their wounds heal. Protecting an open wound from exposure to human waste is crucial to the healing process. By making use of products designed to create a tight seal around the open wound, the process of keeping matter or urine from spreading to the area is much easier. Along with protecting the wound, the dressings and ointments are also helpful in nourishing the skin and preventing rashes and similar problems. If you are facing surgery or are currently recovering from an accident, it helps to learn all you can about wound care and how it affects the skin during the healing process. Spend some time learning more about the wound care supplies offered online and talk with your doctor about what will work best in your situation. The result will be less discomfort, a decreased chance of infection, and a smoother recovery period.